Every spring for the past 23 years, the Horace Mann School (HM) in the Bronx, NY, has celebrated Book Day, a common reading event. Book Day is a day when the entire school community—including students, faculty, parents, and alumni—dedicates one day to one book. 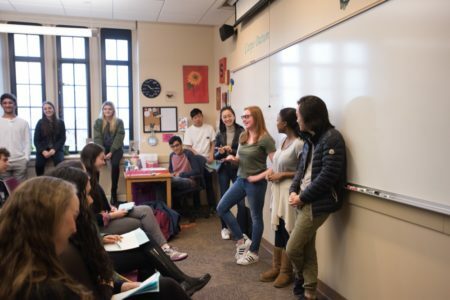 Classes for more than 740 students and 150 faculty members are cancelled, replaced by a full day of events with guest speakers, interdisciplinary workshops, discussions, art and theater pieces, and larger assemblies. Throughout Horace Mann’s Book Day tradition, the school has delved into various books and genres, including memoirs, dramas, and graphic novels. 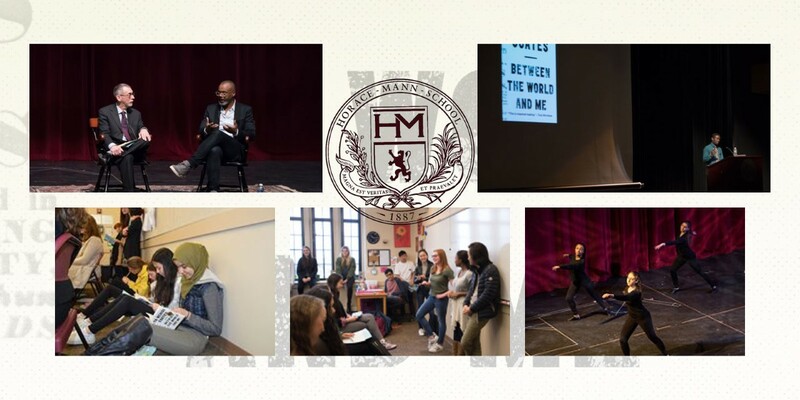 This year’s Book Day on April 6th featured Ta-Nehisi Coates’ Between The World and Me, a powerful book in which Coates, a prominent writer on racial issues in the U.S., explains injustice through a personal letter to his 15-year-old son. 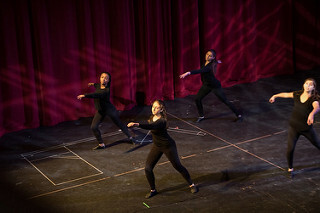 The day usually begins with an opening assembly at 8:45am in which students present a musical-, dance-, or acting-piece followed by a keynote speaker addressing the larger theme of the event. The day is then split into four 55 minute sessions — students can choose one of the 40 or so workshops offered for each session — and then there is a one hour lunch break. Book Day culminates at 3:00pm with a closing assembly that summarizes the projects. Another guest for the day included Coates’ editor and One World publisher Chris Jackson. Jackson said that he’s always looking for writers who speak directly to him. Often, these are unknown writers or writers on the fringe who haven’t achieved larger recognition. One of Jackson’s success stories is Paul Beatty who recently won the Booker Prize. Jackson hopes that the Booker will introduce new readers to Beatty’s backlist. He also talked about working with Jay Z, and Trevor Noah. Jay Z and Jackson had extensive conversations that opened up the world of rap in ways that revealed a complex examination of race in America. The resulting book, Decoded, became a New York Times best seller. Jackson is especially pleased with the critical reception of Trevor Noah’s Born A Crime, which is also on the bestseller list. The closing assembly featured a rap song about Between the World and Me; a performance by the Horace Mann’s Stomp dance troupe; and a speech by Chidi Akusobi, 2008 HM alumni whose story was featured on CNN, who talked about his experiences in America, of being an under-privileged Nigerian immigrant who went on to overcome adversity and now helps others to do the same. The Book Day concept is steadily gaining popularity in institutions across the country; in fact, the Association of Independent School Librarians will now help schools formulate plans for launching their own Book Day program with their communities via a two-day Summer Institute, to be hosted by Horace Mann School on June 27-29. To register for the Summer Institute, please click on this link. You’ll find the full schedule and what to expect of the two days of workshops and discussions. If you have any questions about the Summer Institute, please feel free to email me at Caroline_Bartels@horacemann.org. 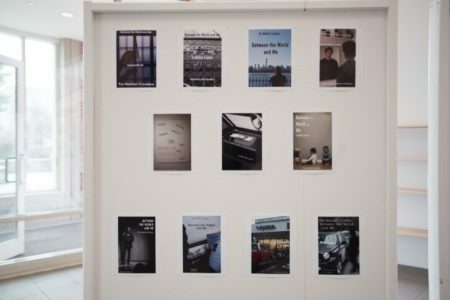 To view additional pictures from Book Day, click here. In a profound work that pivots from the biggest questions about American history and ideals to the most intimate concerns of a father for his son, Ta-Nehisi Coates offers a powerful new framework for understanding our nation’s history and current crisis. Character units are a part of many lesson plans across schools. 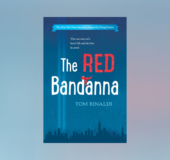 Kids are often looking for heroes and character units are a great way to introduce young readers to not just heroes, but how important character is and that it can help everyday people turn into heroes. Welles Crowther did not see himself as hero. 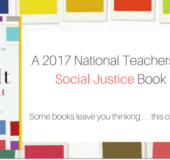 Debuting at #1 on the New York Times bestseller list and soon to be a major motion picture, SMALL GREAT THINGS was chosen for the 2017 National Teachers of the Year social justice booklist for high school – adult readers, a resource for educators, parents, community members, and policy makers interested in reaching young people on issues of social justice.